I created this cake for my son’s 6th birthday. 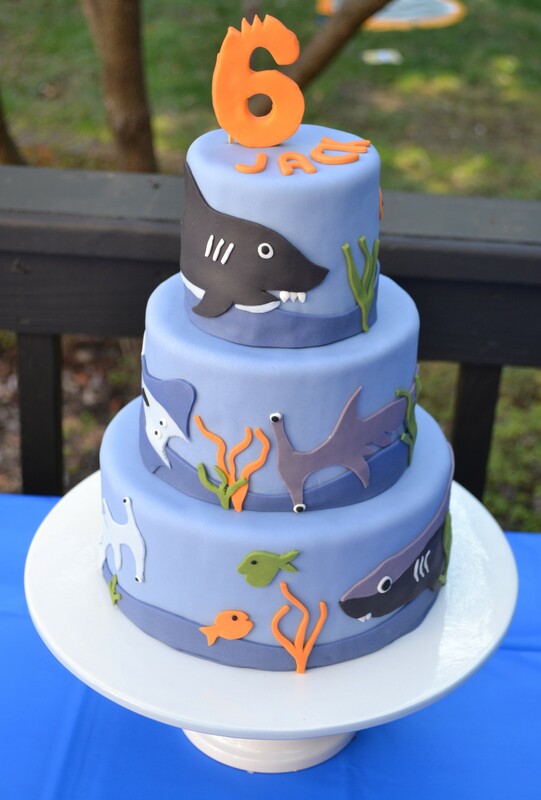 For a number of years, Jack has loved sea creatures and anything to do with the ocean and I knew that this would be the perfect cake for him. I asked him what his favorite animals were and created these using fondant. I also created a fondant “6” with a big bite taken out of it.